Some of InSight's sensitive instruments need protection. The Ring Lord's chain mail is perfect for the job. Most people involved in this week's successful deployment of the Mars InSight lander were on the edge of their seats as the spacecraft made its precarious journey to the surface of the Red Planet. Not Saskatoon entrepreneur and mechanical engineer Bernice Daniels. "I was actually busy and I forgot," Daniels confessed on CBC Radio's Saskatoon Morning. Daniels is co-founder of chain-mail company The Ring Lord. In her defence, the Saskatoon-based company's work with NASA happened back in 2013 and there was no guarantee that the parts they helped produce would ever make it to Mars. When news of the successful landing hit this week, Daniels started poking around to find out if her company's contribution had ended up being a part of the long journey to another world. "We didn't know 100 per cent, we only knew that they were testing something," Daniels said. What did Saskatoon send to Mars? 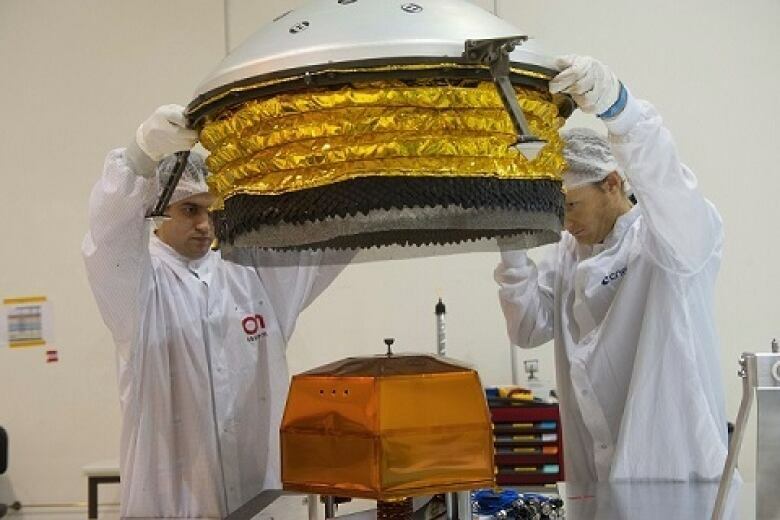 Insight is scheduled to spend the next two years measuring seismic activity and magnetic fields on the Red Planet. It will also take Mars's interior temperature. Some of InSight's sensitive instruments need protection. The Ring Lord's chain mail is perfect for the job. 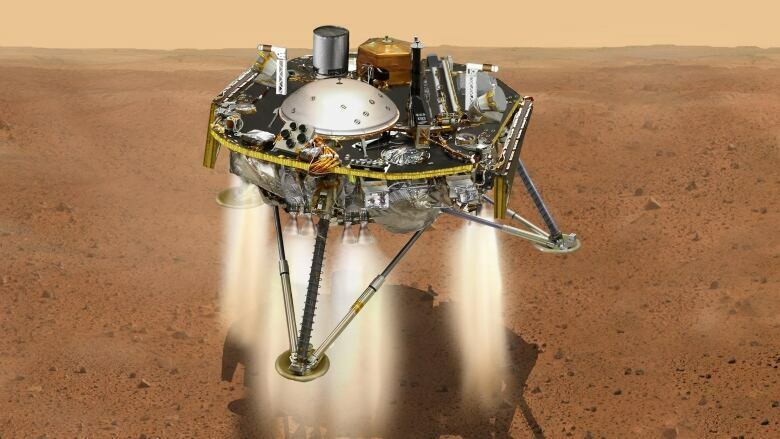 "[Insight] has a skirt that hangs down on the bottom of it, basically hugging the dirt," said Daniels. InSight travelled almost 500 million kilometres on its indirect trip to Mars. The Ring Lord also stakes its claim on Mars indirectly. NASA contacted an off-shoot company, founded by some of Daniels' former employees, called MailleTec Industries. That company built InSight's protective skirt with materials purchased from The Ring Lord. NASA is not The Ring Lords first high-profile customer. The company has also worked with Boeing and SpaceX, Daniels said. "These are our elite-level fun projects. They are not our bread and butter day-to-day but it's definitely something we enjoyed doing just for the fun of it." The Ring Lord also helps create costumes for film and television. The business has grown so much they now have a massive manufacturing plant in Toronto.